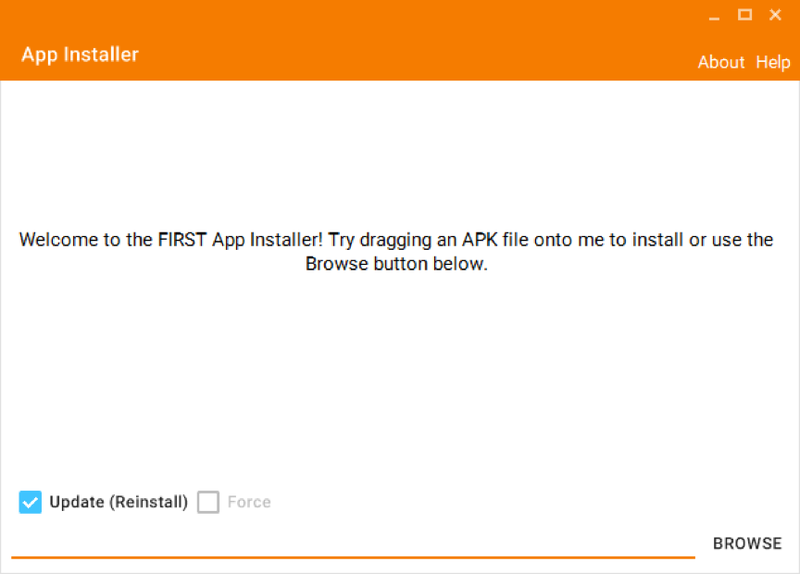 AI2 Inventor Forum News: Welcome to the FTC App Inventor Download Page! 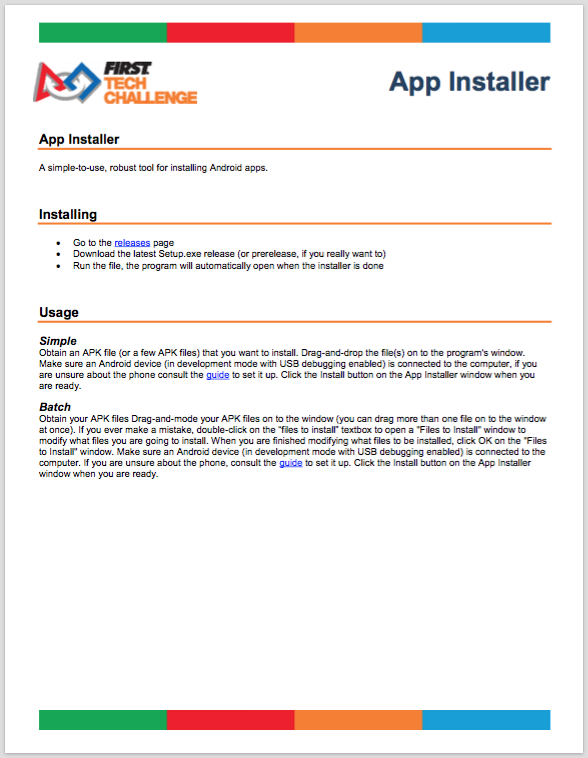 Welcome to the FTC App Inventor Download Page! This page provides you with access to the documentation and files that you will need to run App Inventor with the FTC design components locally on your personal computer. Click the appropriate button to download the item. 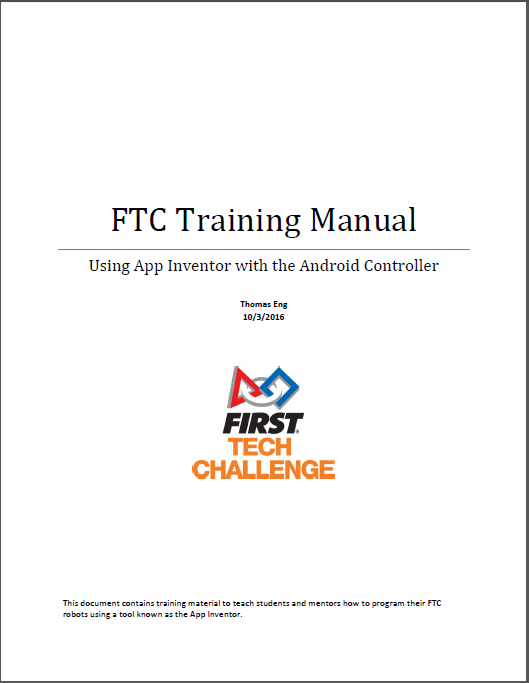 Training manual that explains how to use the App Inventor with the FTC robotic components. This manual is applicable for both Mac and Windows environments. 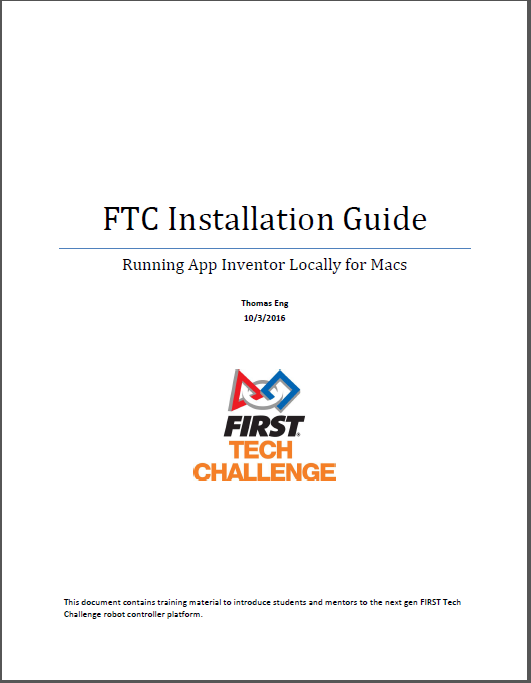 User manual for installing the FTC App Inventor locally on a Mac computer. Mac users, read this document first. 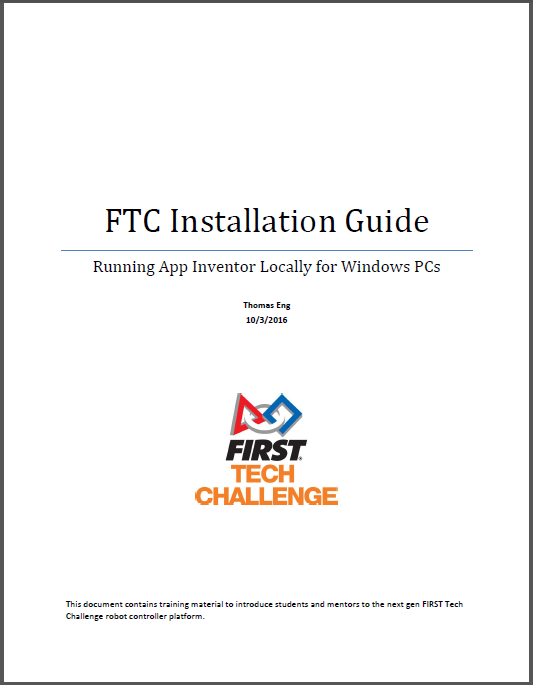 User manual for installing the FTC App Inventor locally on a Windows computer. Windows users, read this document first. This README file contains release information about the current appliance files (Mac and Windows). Local App Inventor appliance file for Mac (LocalAppInventor_mac.ova). If you are running VirtualBox on a Mac or Linux computer, download this file. Local App Inventor appliance file for Windows (LocalAppInventor_win.ova). If you are running VirtualBox on a Windows computer, download this file. Current release version of the FTC Driver Station app. Current release version of the FTC Robot Controller app. Current release version of the ZTE Speed Wi-Fi Direct Channel Change app (for ZTE Speed phones only). Sample op modes for using sensors with the Core Device Interface Module (CDITestController.aia). Sample op modes for controlling a motor and a servo using a gamepad (MyRobotController.aia). A simple-to-use, robust tool for installing Android apps. Instructions on using the AppInstaller application. 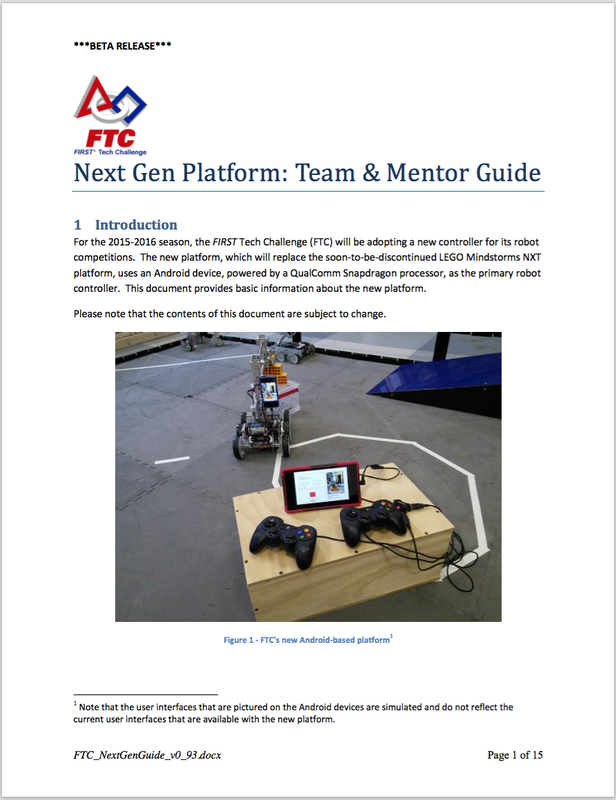 Team and mentor guide that provides a high level overview of the Android-based FTC robot control platform. 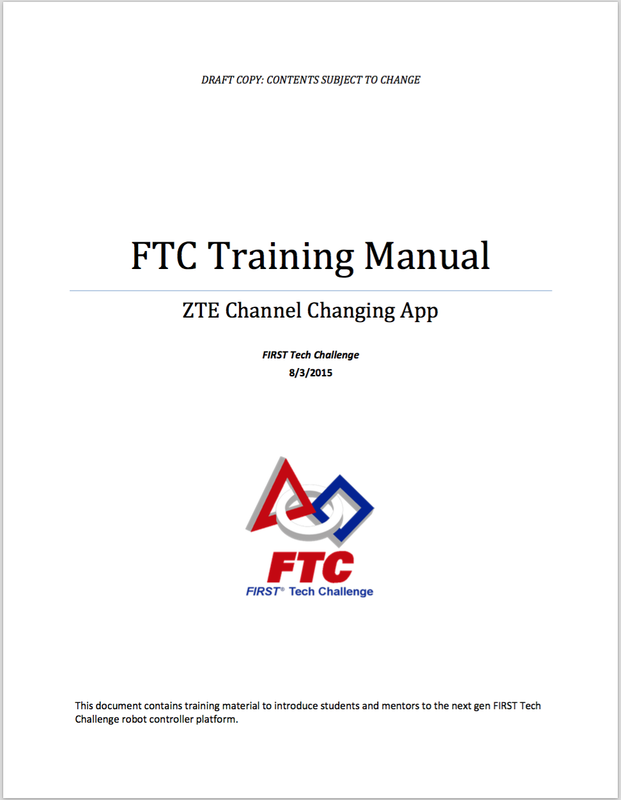 FTC Training manual for the ZTE Speed Channel Changing App. This document describes how to use the Channel Changing app to select the WiFi Direct channel for the ZTE Speed Android phones.